On this day in 1944, Arturo Toscanini conducts the combined NBC Symphony and New York Philharmonic in a benefit concert of music by Wagner, Verdi, and Sousa at the old Madison Square Garden. The concert raised $100,000 for the Red Cross. During an intermission auction, New York mayor Fiorello LaGuardia auctioned off Toscanini's baton for $10,000. A couple of years ago, the Oregon Symphony reached way outside the box when it thought up the idea of asking a composer to write an orchestral work on homelessness. The orchestra then asked singer-songwriter-composer Gabriel Kahane to create such a work for its “Sounds of Home” series. Kahane took the commission very seriously and went so far as to volunteer at a homeless shelter in Brooklyn, New York (see my interview with Kahane for The Oregonian here). His experience there was undoubtedly a factor in the emergency shelter intake form for orchestra, soloists, and chorus, which received its world premiere on Saturday, May 12th at the Arlene Schnitzer Concert Hall. Kahane’s emergency shelter intake form proved a thought-provoking piece. Canadian soprano Measha Brueggergosman posed most of the questions from an intake form, such as “Where did you stay last night,” “Have you ever been evicted,” and “Have you ever been denied a loan or a lease?” The chorus of inconvenient statistics, consisting of vocalists Holland Andrews, Holcombe Waller, and Kahane, offered replies and supplied some statistical information that probed the loss of housing by low income people during the last recession. In “Certainly we can all agree,” Waller reminded us of how much we all want lots of housing for everyone, but we aren’t will to pay for it nor house the homeless near where we live (with the refrain of “not in my backyard”), which he finished off eloquently with baroque-styled filigree. In the ballad, “A brief history of the subprime mortgage loan crisis,” Kahane sang of the machinations of Wall Street, which worked especially well against people with lower incomes. The message that suggested the responsibility of the wealthy for homelessness probably caused a few patrons to leave the hall before emergency shelter intake form was performed and a few got up and left while it was performed. Kahane’s piece didn’t explore the role of divorce, drugs, mental illness, and other factors that have added to the homeless. But he didn’t hammer a Western-European-net-answer either. His “emergency shelter intake form” was his genuine take on the problem on homelessness, and it caused the audience to reflect in a positive way. Just to push this a little further, it should be noted that many composers have upset the wealthy and powerful. For example, censors demanded that Verdi’s Rigoletto be changed so that it didn’t mention a king even though it was based on Victor Hugo’s Le roi s'amuse (The king amuses himself), which was based on the scandalous and behavior of the King of France and was subsequently banded for 22 years. An opera that was not fondly received by Hitler was Paul Hindemith’s News of the Day. It was labeled by the Nazi’s a degenerative art and backlisted. The Oregon Symphony played the opera's lively Overture, which contained a number of thematic passages that flitted blithely about. All-star violinist Joshua Bell appeared in the first half of the concert to play Leonard Bernstein’s Serenade (after Plato’s Symposium). Bell’s superb performance showed off his incredible skill and artistry over the five moments that reflected various aspects of love.. He was ably supported by the orchestra, which had an equally demanding role. After concluding the piece, Bell especially recognized principal cellist Nancy Ives for her exquisite playing with him at the beginning of the fifth movement. Bell followed the thunderous applause from the audience with an encore, the romantic and lyrical theme by Nigel Hess for the movie “Ladies in Lavender.” Bell played it impeccably and received another round of extended heartfelt applause. Bell, by the way, joined the audience to hear Kahane’s piece in the second half of the program. On May 16, 1907, Miller Reese Hutchison filed an application at the U.S. Patent Office for his invention, the motor-driven Diaphragm Actuated Horn and Resonator, for use in automobiles. The patent was granted on May 3, 1910. The carhorn would later be used as a musical instrument by numerous composers ranging from George Gershwin in An American in Paris (1928) to Wendy Mae Chambers who developed a Car Horn Organ in 1983. On this day in 1875, the American premiere of J.S. Bach's "Magnificat" took place during the May Festival in Cincinnati, conducted by Theodore Thomas. The Cincinnati Commercial review of May 14 was not favorable: "The work is difficult in the extreme and most of the chorus abounds with rambling sub-divisions. We considering the ‘Magnifcat' the weakest thing the chorus has undertaken . . . possessing no dramatic character and incapable of conveying the magnitude of the labor that has been expended upon its inconsequential intricacies. If mediocrity is a mistake, the ‘Magnifcat' is the one error of the Festival". Thomas also conducted the next documented performance in Boston on Mar. 1, 1876 (for which composer John Knowles Paine performed as organ accompanist to a chorus of 300). My article-interview with singer-songwriter Gabriel Kahane has been posted in Oregonlive here. The topic is his piece on homelessness, which will receive its premiere at the Oregon Symphony concerts May 12-14. The print version will be out on Friday. On this day in 1824, Beethoven's Symphony No. 9 ("Choral") was premiered at the Kärntnertor Theater in Vienna, with the deaf composer on stage beating time, but with the performers instructed to follow the cues of Beethoven's assistant conductor, Michael Umlauf. Portland State University Opera presented another professional-quality run with Benjamin Britten's only comic opera, Albert Herring. The performance on April 29 at the Lincoln Performance Hall was spectacular; yet another feather in the cap of this marvelous program. Opening with a nice Victorian hubbub, Grace Skinner as the housekeeper and Jonathan Robert's Superintendent Budd (in a fine, pure baritone) demonstrated poise and nuance in their vocal performances. The overall production was redolent with Victorian stuffiness, and this group performed marvelously in their send-up of this 'morally righteous' time. 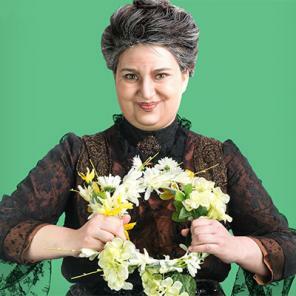 Helen Soultanian's (Lady Billows) rich, full mezzo was well-suited for this role, and her ornamentation was impeccable. There was true beauty in the ensemble about Albert's virtue, even if the sopranos tended to dominate to the detriment of other voices at times. The orchestra was up to the task in their difficult job--there was mischief and tomfoolery there as well, and a fine cacophony from the winds in the first act. The 'Peach' duet between Sid and Nancy (Erik Standifird and Celine Clark) was at turns humorous and slyly lustful. Christian Sanders as Albert Herring was a real showstopper. 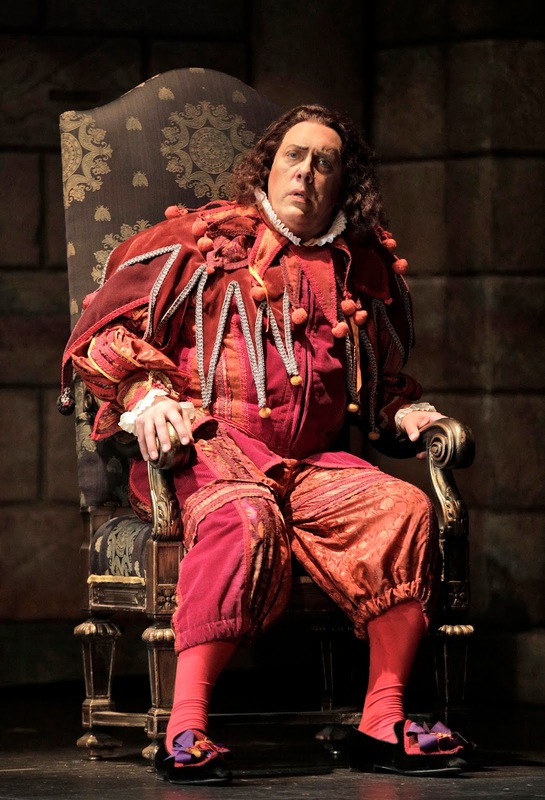 His incredible tenor was matched by his acting--even in the midst of a high comedy such as this, his ability to portray the frustration and smothered angst that seems to define Herring's life was crucial. His voice was up to this difficult task, expressive and seemingly effortless, and with impeccable diction to boot. Sanders took his time enunciating, acting--doing all the small things necessary to make comedy work. He was not content to lean to heavily on the situation itself (the drunken 'male ingenue') but worked tirelessly to make sure all the subtleties were there. The dirge-like quartet wherein the group meditates on what they were sure was Herring's death was appropriately weighty, an emotional counterpoint to all the levity. The audience is posed with a difficult quandary: do we laugh, knowing as we do that Albert is perfectly fine, or grieve with those who are sure that he has died? As a whole, the singers demonstrated a real sensitivity, and a natural feeling for the odd, intoxicating textual underlay that singing Britten demands. 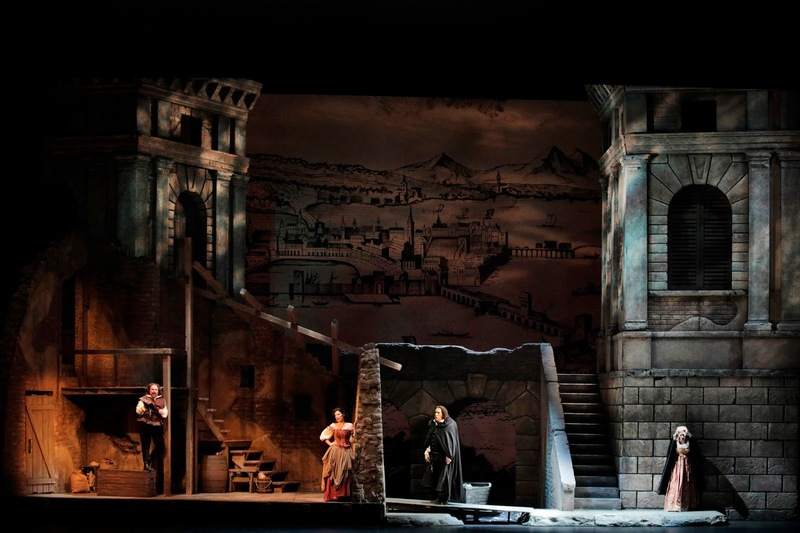 Portland State University Opera always delivers a high-quality product in which it seems everyone is giving every ounce to the performance, and the sum feels greater than the marvelous parts. Albert Herring was no exception. On May 3, 1943, William Schumann received the very first Pulitzer Prize for Music for his Secular Cantata No. 2 - A Free Song, a work published by G. Schirmer and premiered by the Harvard Glee Club, the Radcliffe Choral Society, and the Boston Symphony Orchestra under the direction of Serge Koussevitzky on March 26, 1943. On this day in 1971, debut broadcast of National Public Radio's "All Things Considered" was made with an electronic theme by composer Don Voegeli of the University of Wisconsin (In 1974, Voegeli composed a new electronic ATC theme, the now-familiar signature tune of the program).